Click Here To Sign Our NDA. Here is the turn key Mexican food location you have been looking for in North County San Diego. Beer and wine license is in place. Located on the corner of one of the busiest intersections in Escondido. Business is increasing each month! Seller built this restaurant out with plans to operate it himself but the commute from Southbay and family health issues have made this very difficult. His loss will be your gain, restaurant is turnkey and ready for new ownership. If you are you looking to owner operate a restaurant in a super busy center with out the hassle of planning, permitting and constructing your own place , here you go. Demographics in the immediate surrounding area are ideal for this current Mexican-seafood concept. 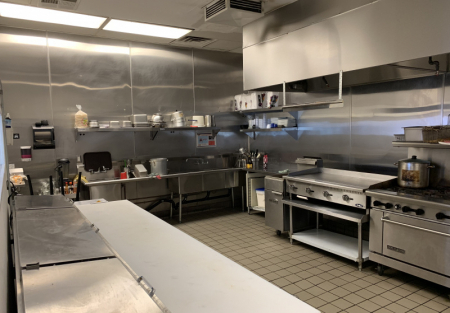 Kitchen is ready for volume with an all new 14’ hood system, stove, griddle, two deep fryers, cold prep table and a walk in cooler and freezer. Kitchen is very clean and in excellent condition. It’s all here ready for you to take over and get this place going. Take a Closer Look and Get the Name and Address by Clicking Here. Seller states monthly sales are in the 35k per month range and climbing!. Restaurant is approximately 1800 square feet. Rent is $3600/month and CAM is $1080/month and includes water and trash. If you have been looking in Escondido or the North San Diego County area in general, come by today to see if this is the restaurant you have been waiting for. Downtown San Diego Restaurant - Nearly New - Beer/Wine-Bargain Priced!